Ultimate Team is proving to be a massive hit once again this year, with more players than ever taking part. It can be difficult to decide what league to base your team around, but the Bundesliga is looking very appealing in FIFA 19. There are some really good deals to be had. But what are the best FIFA 19 Bundesliga Ultimate Team bargains? 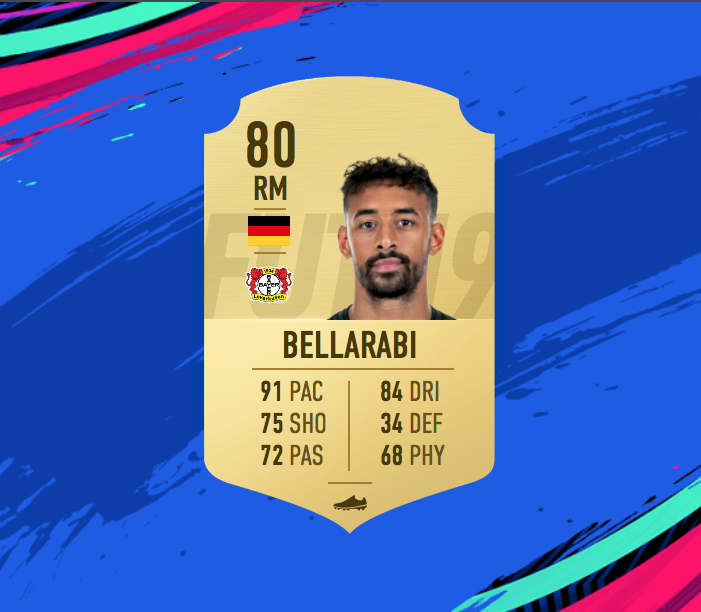 Bellarabi is a fantastic winger in FIFA 19, and he is proving to be a very popular option in Ultimate Team. His pace and dribbling stats are excellent, while his finishing is not half bad. He should be available for around 1,000 coins, and you can't really pass him up at that price. Rebić came to prominence during the 2018 World Cup, and his FIFA card has received an upgrade as a result. Priced at a measly 700 coins, he is a very good option to have up front. His combination of speed and strength will be a nightmare for defenders, and he is capable of finishing any chances that fall his way. Piszczek is entering his mid-thirties now, but he still has an excellent FIFA card. The Polish defender is a very balanced player, and at 1,000 coins he will fit nicely into any side. Süle is an out-and-out defender, and that may be why his price is quite low. He is not the ball-playing centre back that many players desire, but if you are looking for someone to halt opposing attackers, there are few better. He is more expensive than most on this list at 2,800 coins, but he has the potential to be a rock at the back. 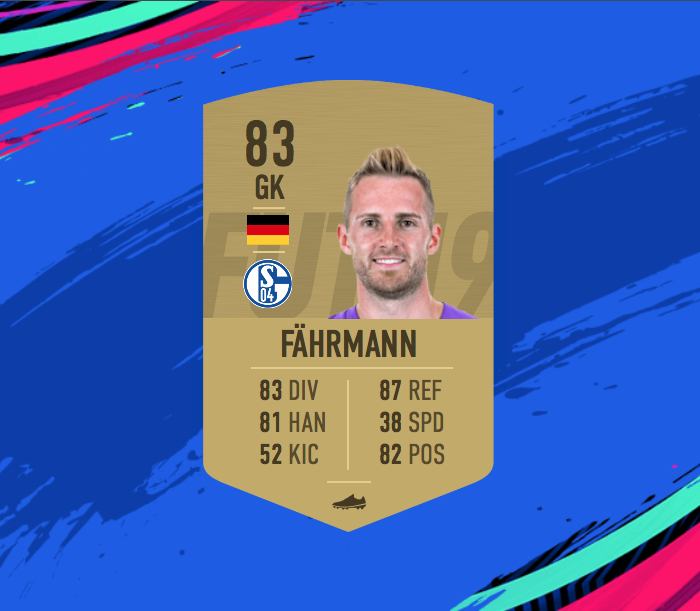 Fährmann has been a FIFA favourite for a number of years, and he has an excellent card once again this year. He is strong in all the key stats, and will be a dependable member of your team. There is a surplus of fantastic goalkeepers in the Bundesliga, and that may explain why his price has dropped to around 1,200 coins. Bailey had a real breakout season for Leverkusen last term, and he was linked with a number of big clubs over the summer. He ended up staying put, but that has not affected his FIFA 19 rating. With sumptuous pace, dribbling and shooting stats, he will be a deadly option down the left. He is available for 1,500 coins. Caligiuri is a very solid player to have in your defence, and he does not have any real weaknesses in his game. While his stats do not jump off the page, he is a steal at only 800 coins. With Naby Keita having finally left the club, the opportunity is there to make Leipzig's midfield his own. Judging by his FIFA 19 stats, he may well do so. His pace, dribbling and passing stats make him an excellent player to have in the engine room, although he does lack a bit defensively. Still, for 800 coins you can't complain. Gnabry's card is absolutely fantastic in FIFA 19, and he would not look out of place in any team. His pace and dribbling make him a troubling prospect for any defender. While he is a slightly pricier 3,000 coins, he could be the x-factor in your team. So there you have it, the best FIFA 19 Bundesliga Ultimate Team Bargains. The Bundesliga is certainly rich in terms of playing resources this year, and the prices of the players are very reasonable. As you gather more coins through playing the game, you might choose to upgrade a lot of these players. However they are certainly good enough to get you started.